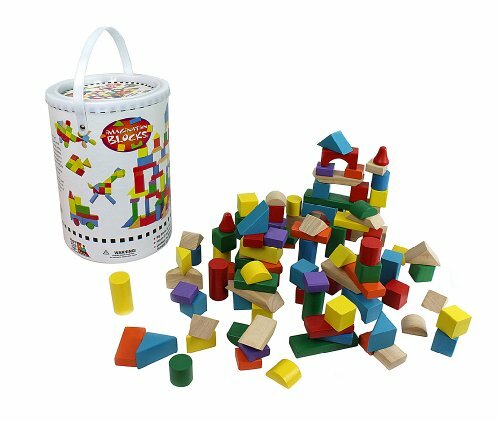 Wooden Blocks - 100 Pc Wood Building Block Set with Carrying Bag and Container (Rainbow Colored) - Made from real wood and lead and BPA free, this set is a safe toy to excite and help your child's imagination grow. This 100 piece wooden block set will provide hours of entertainment and learning for children ages 2+. Conveniently equipped with a storage bag and tub, you will never lose any blocks and can bring them with you on the go!